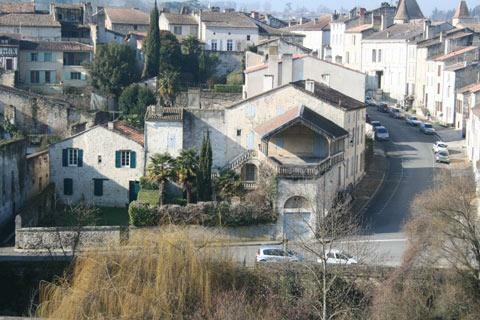 Nerac is a town on the southern edge of the Lot-et-Garonne department of south-west France. 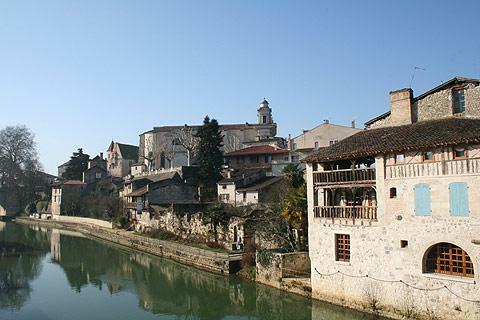 There are few major highlights except the castle but Nerac is nonetheless a pleasant town to spend a morning exploring and there are some interesting medieval buildings to discover around the town which lies on both sides of the Baise River. 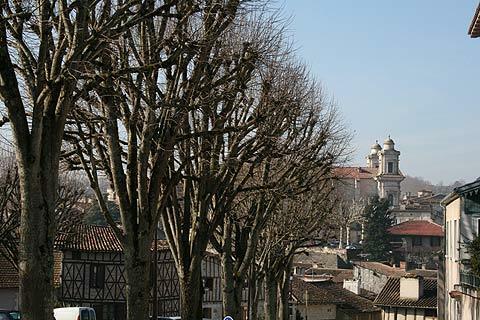 Nerac was the capital of the historically important Albret region on the northern edge of Gascony. 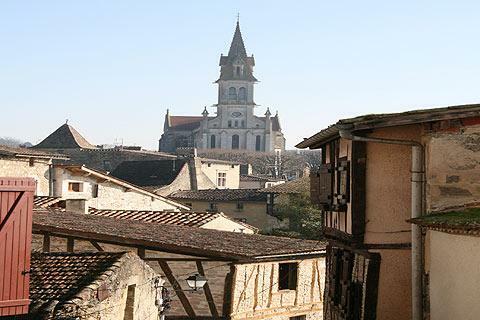 Like other historical region names (Gascony, Perigord, Quercy) the Albret name is now used in a lot of tourist information to describe the region around Nérac (and Castejaloux). A good place to start your visit is at the cluster of buildings just north of the old bridge. From here you can then explore the section of the town between the two bridges, behind and south of the castle. 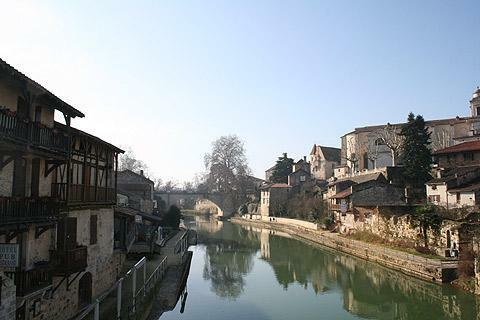 Near the Vieux Pont (Old Bridge) take a look at the wonderful colombage (half-timbered) buildings of the old tanneries. Ahead of you above the river is the Church of Notre Dame. You can ask for a map which suggests a guided walk around the town's highlights in the Nerac tourist information office. It is the Chateau Henry IV that attracts most visitors to Nerac. Only a part of the original chateau remains but it is a very impressive wing of the original castle, with a round tower and an arcaded balcony with decorative columns running along the first floor level. 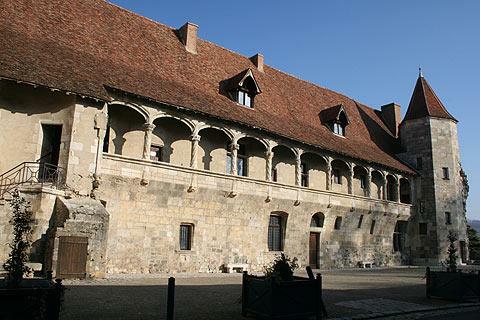 The castle now houses a museum tracing the history of the region, and in particular of the Albret region - the museum holds archaelogical finds and an exhibition about the history of the Albret family. 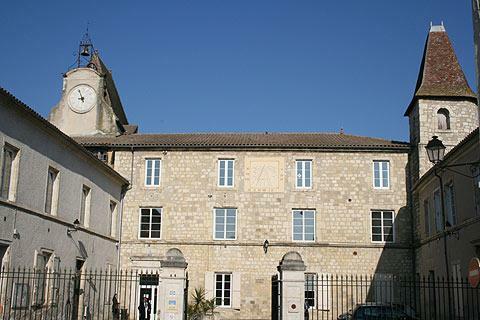 In the main part of town as well as the Chateau Henri IV you can see the town hall, which was once the town's prison. 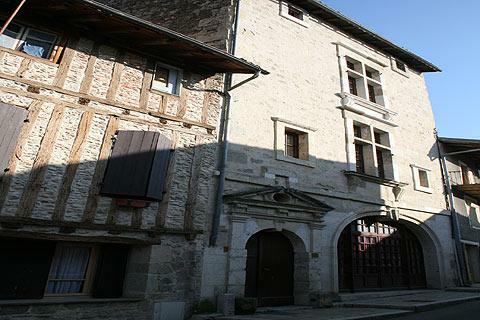 If you follow the guided walk around Nerac you will also see the building which was the original town hall and is one of the oldest buildings in Nerac although it was largely destroyed by a fire in 1611. 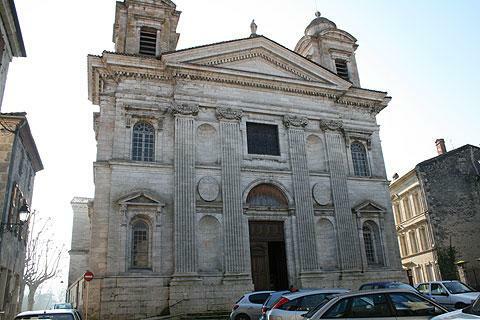 Another notable monument is the Church of Saint-Nicholas, a large church with a baroque style facade built in the 18th century on the site of an earlier church that had fallen to ruin. The inside of the church is decorated with wall paintings and stained-glass windows which were added to the church around the middle of the 19th century. 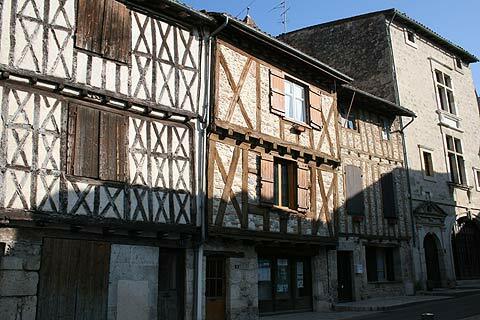 Wandering around the centre of Nerac there are many attractive buildings dating from the 15th to 17th centuries. You should also take a walk up to the viewpoint (belvedere) as the views over the river and the town below are really excellent. If you have time you can also take a walk along the river and through the Parc Royal de la Garenne. Once a royal hunting ground this is now a very pleasant park and there are a number of notable fountains in the park. On the other side of the river is a 16th century pavilion which was once used by ladies to undress for bathing in the river. After exploring the old town and park it is also possible to take a boat trip along the river to get even better views of this lovely stretch of the Baise river. Foie gras is one of the most popular dishes throughout Perigord and many other parts of France, and served by many thousands of restaurants: you will have many opportunities to sample it during a visit. Although it was known by both the Ancient Romans and the Ancient Greeks, the earliest known mention of foie gras in more recent times is at Nérac when it was prepared for the Duke de Richelieu in 1769. As a result Nérac is generally recognised as the place where foie gras was invented - even if some other regions might still contest the claim! See history of modern foie gras for details. Market day in Nerac is Saturday morning. The town also holds a colourful flower market the second weekend of May. Close to Nerac is the newly opened Lud'O Parc which is a large water park which has been designed to look like a Roman ruin but has lots of water jets, slides etc to keep the family amused. 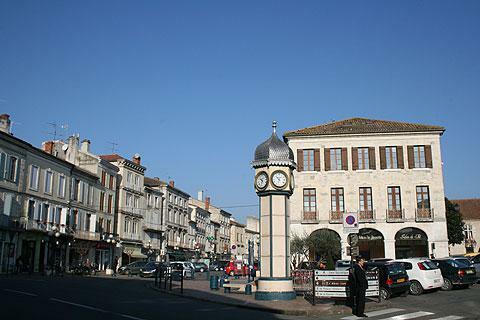 There are also several other small villages and towns of interest including Montreal-du-Gers and Lectoure. 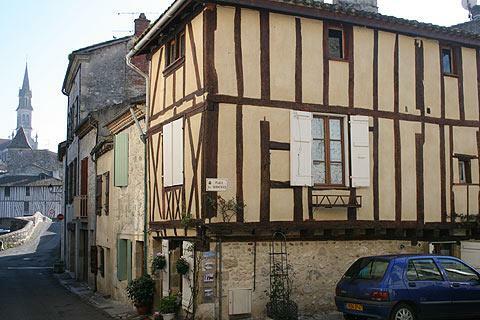 Our personal favourite is the tiny fortified village of Larresingle to the south of Nerac.